Global remap leader Superchips has introduced an engine ECU conversion for the ultra version of the Audi A6 2.0TDI model. Featuring what Audi describes as “… hundreds of innovations”, the ultra model strives to combine performance with efficiency, two of Superchips’ key objectives. From the factory, the Audi A6 2.0TDI ultra develops 190PS along with a quoted 62.8mpg (manual) or 64.2mpg (S Tronic) combined consumption. The Superchips conversion adds a healthy 32bhp at 3843rpm and a huge gain of 62Nm torque at 2041rpm. The shape of the original power and torque curves are replicated perfectly but shifted upwards, meaning Audi’s well-deserved reputation for performance and driveability are maintained. However, the additional power and torque mean that not only is overall performance enhanced, so is the car’s pulling power for better response and enjoyment. In addition to the extra power and torque, drivers can also expect to see improvements in the already impressive fuel economy of up to 7% when compared with a similar driving style, pre-conversion. The device is fitted to the vehicle by one of Superchips’ nationwide dealers and the price of £399 includes labour and VAT. The conversion is covered by Superchips’ no-quibble seven-day money back guarantee and the device itself is also covered by Superchips’ product warranty*. Owners of 245 PS (242 bhp) 3.0-litre TDI Audi A4 / A5 / A6 / A7 models can now benefit from the increased performance, economy and response of a Superchips ECU remap. Careful development by Superchips’ technicians on these models’ Bosch EDC17 ECU in conjunction with extensive dyno testing and on-road assessment has resulted in a remap that delivers a stunning 49 bhp gain at just 3762 rpm, with power gains starting from just 1700 rpm and continuing all the way to 4500 rpm cut out. Post Superchips remap, the 245 PS 3.0-litre TDi Audi A4 / A5 / A6 / A7 torque output increases by 94 Nm at 2950 rpm – peak output hit a mighty 600 Nm on the firm’s in-house dyno. Highlighting the flexibility of the Superchips conversion, over 550 Nm of torque is available between 2100 rpm and 3800 rpm. On the road, this translates into a drive from these 3.0-litre TDi Audi models that’s sharper, more responsive and more urgent. Overtaking becomes easier, acceleration is noticeably improved and less gearchanges are required thanks to the extra flexibility afforded by the Superchips upgrade. 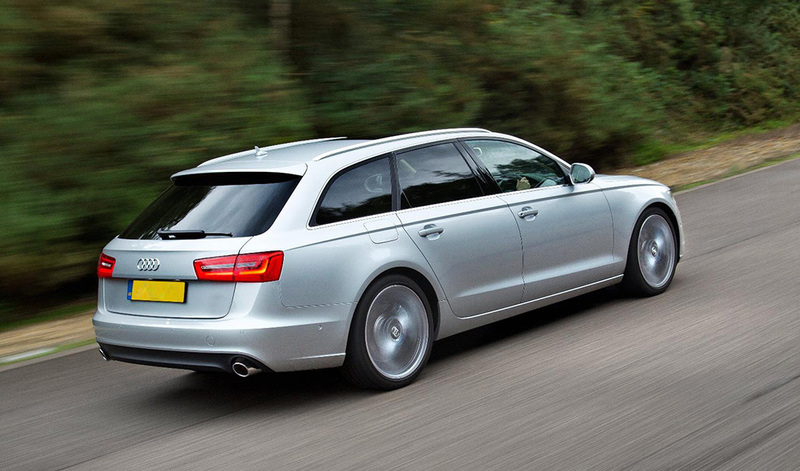 And this added performance doesn’t come at the expense of fuel economy 245 PS 3.0-litre TDI Audi A4 / A5 / A6 / A7 models. Independent testing has proven that the Superchips ECU remap improves consumption by up to 7% if the cars are driven in a ‘like for like’ manner. Priced at £455.00 inclusive of VAT and installation, the Superchips ECU remap for the 245 PS (242 bhp) 3.0-litre TDI Audi A4 / A5 / A6 / A7 models is available now, click on www.superchips.co.uk to purchase now.